JAKARTA. PT Nusa Raya Cipta Tbk is the 15th issuer listed in Indonesia Stock Exchange (IDX) this year. Issuers listing their shares starting today (27/6) opened at Rp 1,000 per share. Shortly after the opening of trading session I, shares of issuers coded NRCA was immediately pushed to the level of Rp 1,270 or up 27% compared to the opening price. Meanwhile, NRCA shares had traded at the lowest level at Rp 1,000 and occupied the highest position of Rp 1,270. While the frequency of transactions occurred as much as 32 times, with a volume of 2,411 lots and total transactions amounting to Rp 1.5 billion. Of course, the NRCA offers a guaranteed public offering (IPO) worth Rp 850 per share. That is, Nusa Raya can get funds from the IPO worth Rp 260.10 billion. The IPO price is at a median price, from the initial offering price of Rp 750-Rp 900 per share. IPO proceeds will be used for expansion. The details, 75% to submit working capital construction. Such as, finance the construction project of Cikampek-Palimanan toll road, which is planned to operate in June 2015. 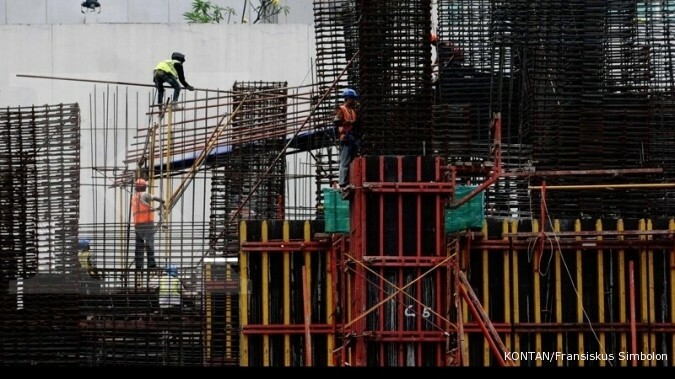 In addition, the company will also finance commercial building projects such as Parahyangan Residence Bandung. The remaining 25% of the IPO proceeds will be used for capital expenditure. Like, buying heavy equipment to support Nusa Tenggara’s business in infrastructure.